Studio Wildcard is partnering with Epic Games to bring the full power of the Unreal Engine 4’s tools and development resources to the ARK: Survival Evolved modding community with one of the first custom mod editors. 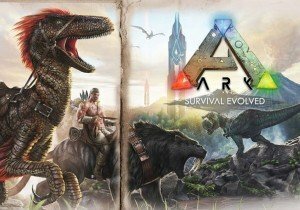 ARK: Survival Evolved, the open-world dinosaur survival game from Studio Wildcard, has achieved wild success in just 30 days of Early Access on Steam, already selling more than 1 million copies. Players who have purchased ARK can begin modding immediately! Follow the “How To Mod” tutorial to get started, then join the ARK community, participate in the Unreal Engine ARK Modding forum, and find content in the Unreal Engine Marketplace. Modders can then share their creations with the ARK gamer community using Steam Workshop. Epic and Wildcard will come together on Twitch.tv/UnrealEngine on Thursday, July 9 at 11 a.m. PST/2 p.m. EST to walk the community through the ARK modding process. More details are available here. Having established their mainstream origin with early 3D games such as Quake and Unreal, mods have been a central driver of the game industry. Modding heritage can be found in major franchises such as Counter-Strike, genres such as the MOBA, and professional game studios throughout the industry. A thriving mod community can act as a force-multiplier on a game, often going far beyond the original developer’s creation both in size and scope.